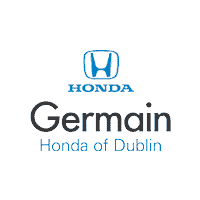 At Germain Honda of Dublin, we take pride in our work and are here to make sure your car stays running like new. At our Honda car repair and service center, it is our goal to make sure you drive away happy and confident that you’ve made the right choice. Our certified mechanics know that a correct and efficient diagnosis is important the first time. We are here to get you back on the road safely, without breaking the bank! Whatever your auto service needs are, whether it’s an oil change, new brakes, new tires or car batteries, Germain Honda of Dublin’s auto service center near Columbus can do it all. Please contact our dealership’s service department if you have any questions, or make an appointment online for your next service or auto repair. Our body shop is conveniently located in the Columbus, OH area at 6715 Sawmill Road. When you visit our Honda dealership for your next service, enjoy our quiet guest area with complimentary Wi-Fi, coffee, beverage station and more. We also offer a complimentary shuttle service that will get you where you need to go. You can also enjoy a courtesy car wash when it is not raining and the temperature is above 32 degrees.